Oh we all will love this one!!! 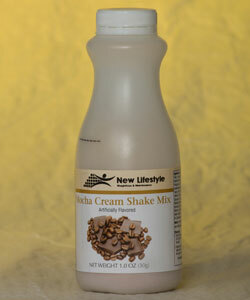 Mocha ready to drink shakes for weight loss – wow I am all for that!! The Mocha Ready to Go Shakes are a combination of rich chocolate and smooth coffee and are light weight and easy to carry – allowing you to enjoy them anytime you are on the go. Just unscrew the top, add water, shake, and enjoy! With 15g of high quality protein per serving this is a great addition to any gym bag! Conveniently packaged and easy to take anywhere. Just unscrew cap, add water, shake, and enjoy. Only 1.5 grams of fat and an amazing 15 grams of protein! Serve them cold and enjoy them on the go. To stock up on this great product by New Lifestyle Diets CLICK HERE to place your order today!! Tell them TEAM TKD sent you!! The Mission for New LifeStyle Diet is To help people lose weight and stay healthy by consuming Foods that they love (Shakes, Puddings, Soups, hot drinks, snacks etc.). To provide information and resources that help people make a lifestyle change so that the extra pounds shed are never put back on.